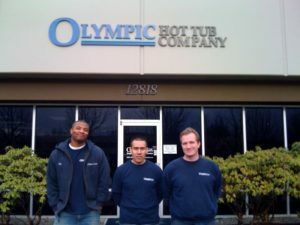 Trust your hot tub to Olympic Hot Tub Company’s professional Valet Service. There’s our team in the photo left to right: Jay Hamilton, Enrique Sanchez and Chris Nordby. By signing up for our Valet Service you can relax knowing that your hot tub will be clean and ready whenever you want to use it. It’s your choice. We’ll take some -or all – of the work out of maintaining your hot tub or spa – all you have to do is enjoy it. Even though Hot Spring Spas are the easiest in the world to care for, so many of you asked for a valet service that we responded, “Yes!”. This service has grown to three full time Valet Technicians. We’re ready! Choose any of the services listed below or select one of our on-going valet packages. Tired? Busy? Save your valuable time and energy. Have it done right with Olympic’s Valet Service. · Drain and Refill including cleaning water lines, detailing your hot tub shell, cleaning and/or replacing filters, cleaning and conditioning your cover and pillows. · Give a water care lesson. · Do Spa Openings when you’re ready to use your spa in the spring. · Perform a Complete Spa Inspection. · Provide complete Valet Maintenance: weekly, bi-monthly, quarterly or yearly. when you call to receive the special. Good through Friday, March 5th. Makes a thoughtful gift for a busy spouse. We service most Puget Sound area locations. 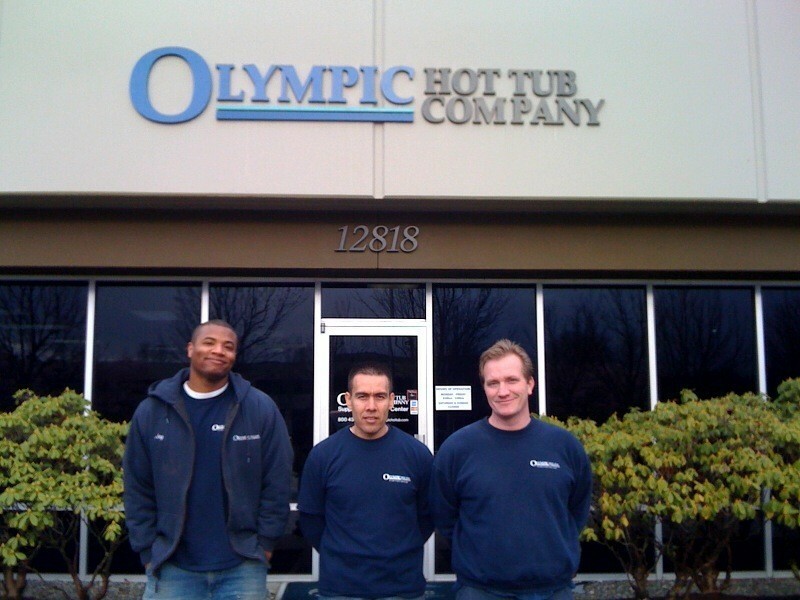 Call Olympic Hot Tub Company’s Service Center today to schedule or stop by or call any of our stores.